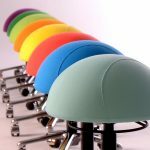 The Officino Sit Ball Chair is the latest addition to our sit ball range, It can assist in toning up your core muscles whilst at work. 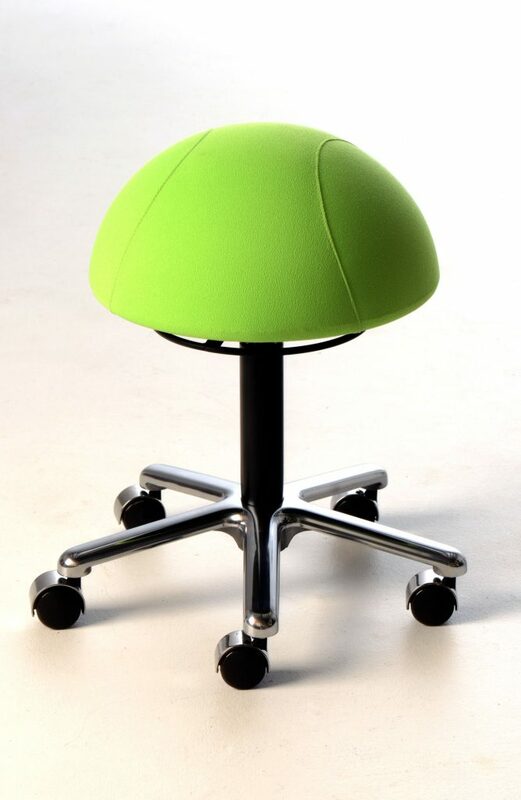 With a new “Firm feel” seat to increase feedback to the buttocks while seated. It is also compact and can easily be stored below workstation when not in use. 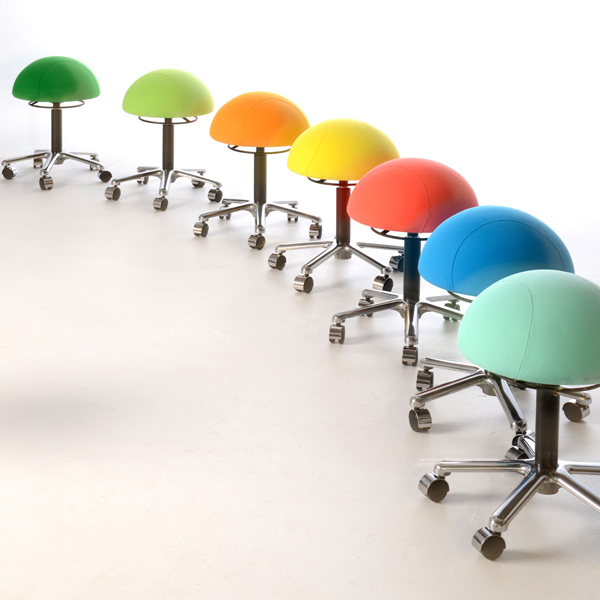 The Officino Sit Ball is standard with a black gas lift and stylish chrome base and can be upholstered in fantastic new colours. The latest addition to our ergonomic ball chairs with all the advantages and none of the disadvantages of a traditional fit ball or Swiss ball. Swivel and height adjust allow for optimum ergonomic sitting position. 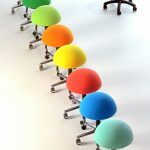 400mm diameter Solid Ball for a firmer seat on five way base and castors for easy moving around the office. Height adjustable on a ring adjust gas lift mechanism. Black gas lift and chrome 5 star base. 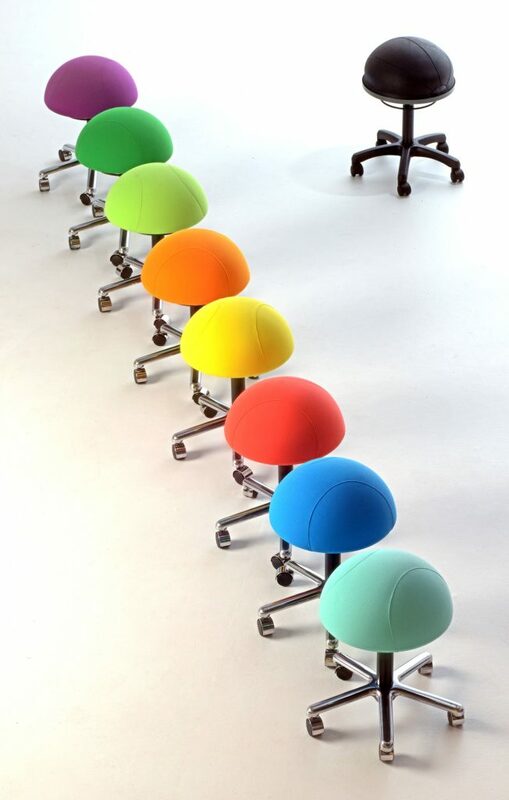 Compact and can be tucked under Workstation when not in use. 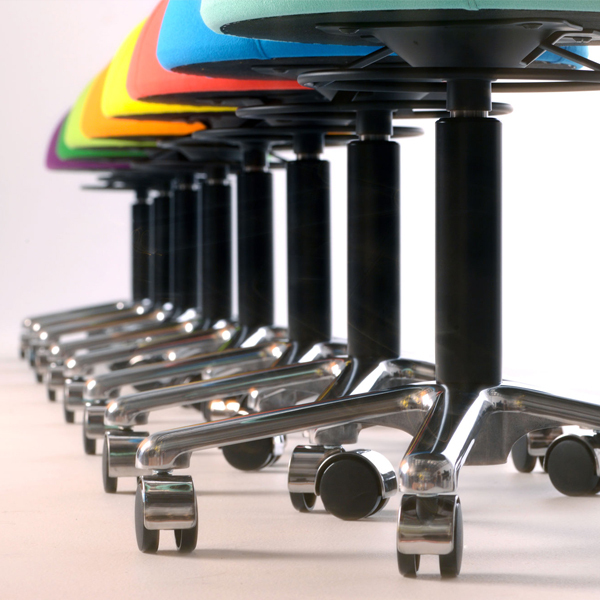 360 degree swivel movement – easy to adjust height lever.